My departure date from Scotia has been pushed back from Thursday the 21st to Friday the 22nd. While driving the car to Halifax today I heard some banging and smashing under the hood. 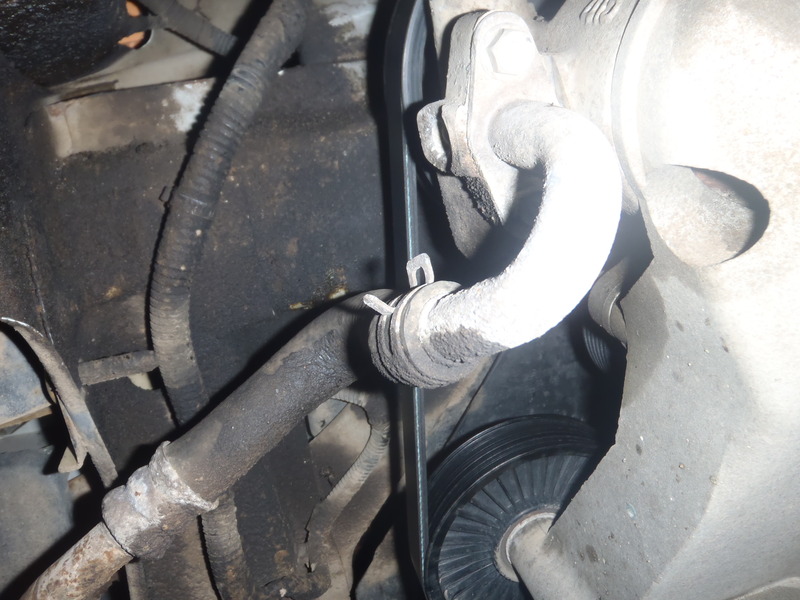 First I thought it was a stick or debris in the wheel well, but when I pulled over it kept clattering around – I then seriously panicked, thinking it was a defective timing belt or water pump (both were replaced yesterday). I killed the engine and threw open the hood to find the drive belt beginning to shred apart. I decided to drive it to a garage and half the belt ended up shearing off in the process. Turned out to be a cheap belt and a pulley that needed replacing, both of which were done in a few hours.